August 18, 2017 - Like us now! Today, the Internet is driving all our important activities and has become a vital source for reaching out to new people. The changing business landscape of the country has made it crucial for businesses – small or large – to build a strong online presence. And should businesses choose to ignore this new way, then they’ll be wiped out from the picture completely due to rising competition. While e-commerce stores are leveraging the value of going online, many shopkeepers and local store owners of Pakistan are unaware about its actual potential. Goto is aiming to change this mindset via its “Closed Here! But Still Open at Goto.com.pk” campaign. Goto.com.pk is one of the top online marketplaces in Pakistan offering a wide variety of products across various categories including women’s fashion, home and living, mobile phones and more. With their latest campaign, Goto wants to provide shopkeepers an opportunity to increase their sales by sending out a message to the customers that even if the shop is closed at the location, it is still open at Goto.com.pk. Goto enables customers to buy the products they need from their preferred stores without leaving the comfort of their homes. It also provides them the added peace of mind that comes with timely delivery, easy returns, and no fake products. 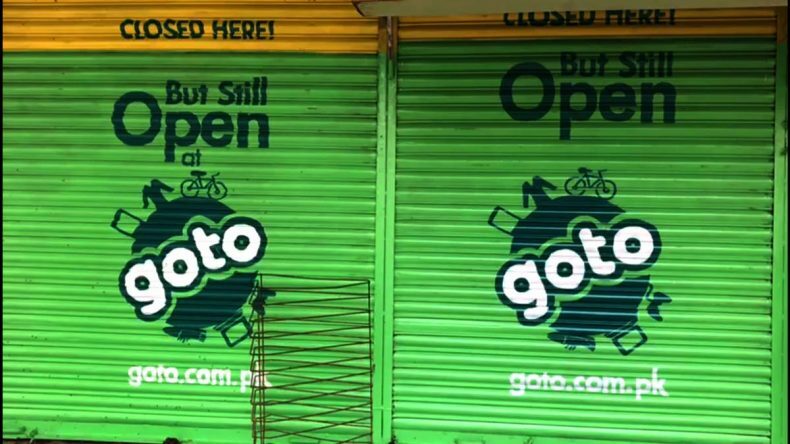 While shedding light on Goto’s campaign, Senior Marketing Manager, Shamail Wasi said, “This initiative is part of our larger strategy to revolutionize the e-commerce industry of Pakistan.” Goto wishes to bring local store owners to Pakistan’s online business landscape and this campaign does just does that. “We realized that local shopkeepers are disconnected from the online world and we felt the need to bring them online,” Wasi further explained. People of Pakistan still prefer to shop from their trusted local shops. Goto with this campaign wishes to not only bring those trusted businesses online but also wants to offer customers a variety of options to choose from – under one roof – that would best suit their needs and budget. The objective of Goto’s campaign is quite clear. They want to build a strong online presence of local store owners while enabling them to reach customers across Pakistan. With more businesses online, customers will eventually have more options to choose from. Therefore, this campaign will benefit both – shopkeepers and customers. Goto has spotted a gap in the market that, when bridged, could enhance the profitability of shopkeepers. And with this campaign, it has effectively removed the time and location constraints while keeping the trust between local store owners and their customers intact. NOTE: This is a branded content.